Made from powdered pigments combined with a water-soluble binder, pastels are simultaneously fragile and robust. Some artists have used the medium for its hazy, vaporous qualities, others for its vigorous graphic effects. Capable of offering an infinite range of hue, unrivaled in freshness and intensity, pastel has been likened to butterfly wings, crushed velvet, stardust. Pure Color: Pastels from the Cleveland Museum of Art showcases more than 30 pastels made during the late 19th and early 20th centuries by the Impressionists, Symbolists, and early Modernists, who were attracted to the medium for its luminosity and evanescence, its ability to convey the fleeting effects and fresh colors of nature and the instantaneity of modern life. Pastel was first referred to during the Italian Renaissance by Leonardo da Vinci as “the dry coloring method,” and in the 16th century Jacopo Bassano and Federico Barocci used it to heighten figure studies with a light toning of color. Although by the 1660s it was possible to purchase ready-made pastels, their commercial production was limited until the early decades of the 18th century when trade in pastels proliferated and a rich array of colors became available. Advances in glass technology also helped fuel the demand for portraits in pastel. The medium’s fragile, powdery surfaces require that such drawings be framed and glazed. Before the late 17th century, sheets of hand-blown glass could only be made in small sizes, thus limiting the dimensions of pastel drawings. In the late 1680s, the French royal glassworks developed a pouring process to manufacture much larger sheets of clear cast plate glass, which in turn allowed pastel portraits to be executed on the same scale as those in oil. The golden age of pastel portraits began, and artists such as Maurice Quentin de La Tour and Rosalba Carriera perfected the technique. Enthusiasm for pastels began to wane in the 1760s and 1770s. Its bright colors became associated with the frivolity of the ancient régime, and a more rigorous, classical style came into vogue that demanded sobriety in color and decor. The revival of the pastel technique took nearly a century. The Impressionists celebrated the versatility and potential of pastel. It could be spread in gossamer-thin veils or applied in dynamic strokes of saturated hue and built up into dense layers that rivaled impasto. Mary Cassatt manipulated pastel on the surface of the sheet, so that its diaphanous color could mix with previously applied layers, suggesting the shifting effects of light on satin and silk, or the flush of a child’s cheek—as in her beloved After the Bath (1901). Degas played a major role in revitalizing the medium. 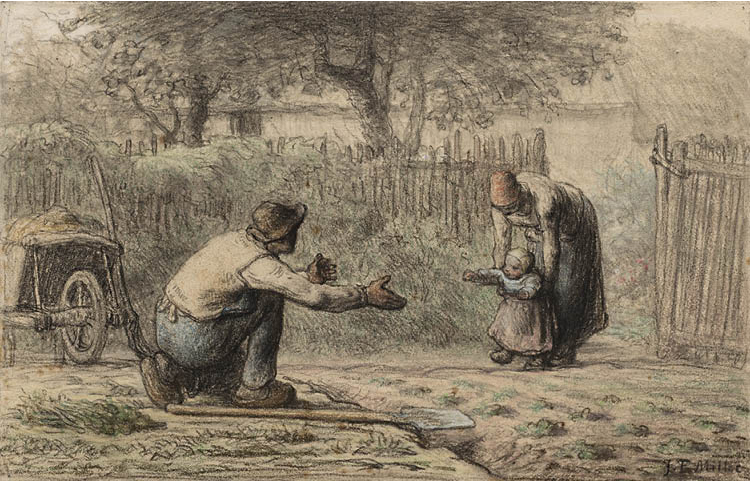 Throughout his career he produced more than 700 pastels in which he explored all of his favorite subjects: the ballet, the racetrack, women at their toilet, and even landscape. The Cleveland Museum of Art is fortunate to own three of Degas’s pastels, representative of his innovation and daring: a portrait, a scene of jockeys, and a late pastel of dancers. Post-Impressionists were equally attracted to pastel. When Symbolist Odilon Redon turned 50, he moved from working in black and white to color—and began using pastel instead of his previous preferred medium of charcoal. The change represented a shift from asceticism to sensuality. Claude-Emile Schuffenecker, a friend of Paul Gauguin, did his best work in pastel. 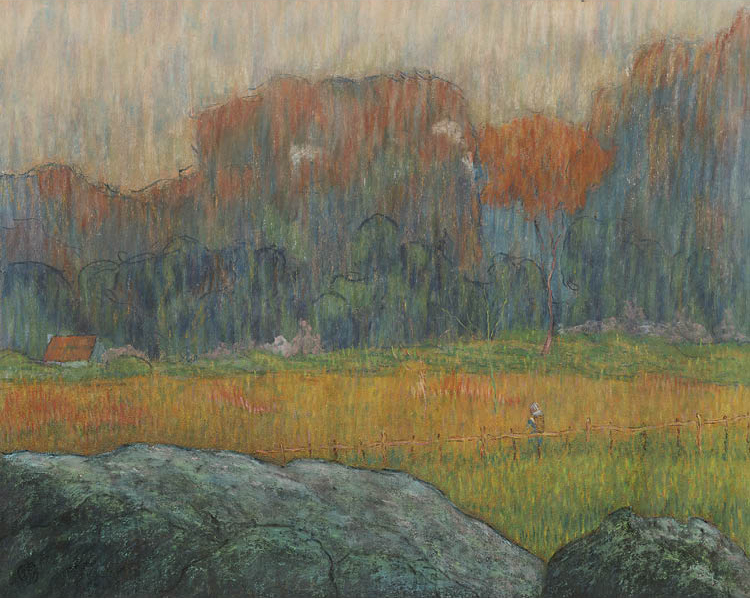 His ethereal Landscape with Figure and Houses (c. 1891), which seems to shimmer like a mirage, will be on view for the first time since its recent acquisition by the museum. Pastel was not only a European phenomenon. In 1882 a small group of artists joined together in New York with the purpose of promoting the variety of expressive qualities inherent in pastel. Calling themselves the Society of American Painters in Pastel, they held their first exhibition in 1884. The following year, a similar group, the Société des Pastellistes de France, was formed in Paris. Among Americans who invented highly personal ways of working with pastel were James McNeill Whistler, Thomas Wilmer Dewing, and John Henry Twachtman. 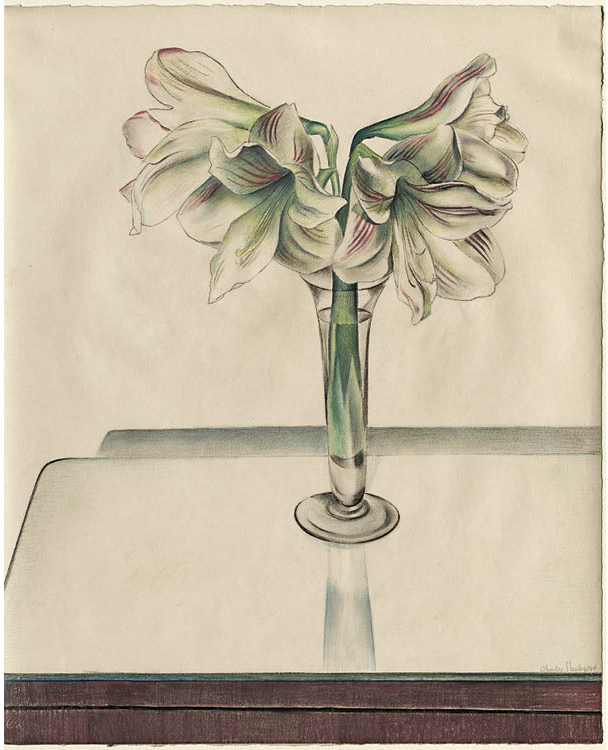 Although the Precisionist Charles Sheeler was only briefly involved with pastel in 1923–24, he turned to it for still lifes in which the individual forms are meticulously outlined. In a quintessentially modernist composition of amaryllises, color is used with the utmost restraint; the overall effect is draftsman-like rather than painterly, a testament to the medium’s endless versatility.